Cosmic Mystery: Why Is the Sun So Round? (Newser) – The sun is round... too round, say scientists. 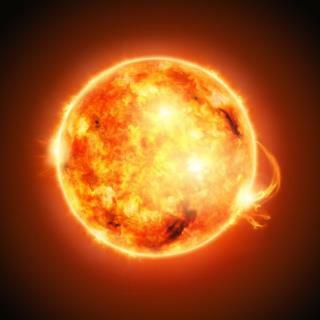 The giant star that bathes us in light is one of the most perfectly round objects ever measured. If it were shrunk to the size of a beach ball, the difference between the sun's widest and thinnest diameters would be slighter than a human hair, reports the Independent. Even though it has no solid surface, which should cause it to flatten and be misshapen as it rotates, new data shows there is much less flattening than expected. It is round but it is not a giant star. Who cares?? What good comes from knowing this??? Why waste money and technological effort researching this??? Because it's a ball and square balls don't work.